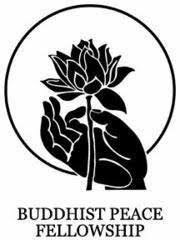 The mission of the Buddhist Peace Fellowship (BPF), founded in 1978, is to serve as a catalyst for socially engaged Buddhism. Buddhist Peace Fellowship (BPF) is a leader in socially engaged Buddhism with a long and groundbreaking history of implementing projects that work toward ending suffering in the world. Determined not to be complicit with white supremacy and with deeply entrenched systems that harm others, BPF works for the liberation of all beings. The organization is engaged in core conversations about race, privilege, and systems of oppression. Those conversations lead to action in the public sphere, under a Buddhist banner. Phra Phaisan Visalo wrote an article about the Religion of Consumerism.